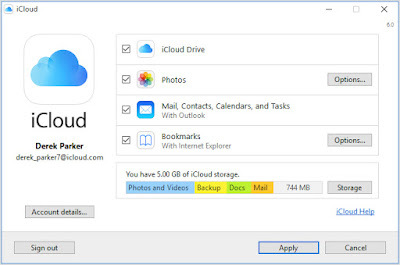 iCloud is popular storage from Apple. 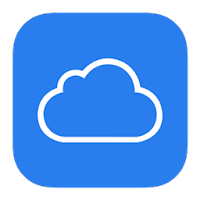 It enables restoring important data saved on iCloud to iOS devices easily. 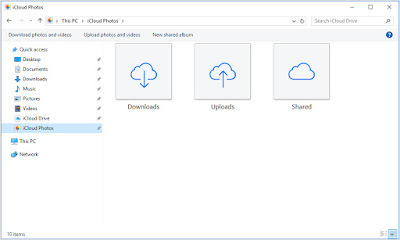 This method will download all photos at once from iCloud. 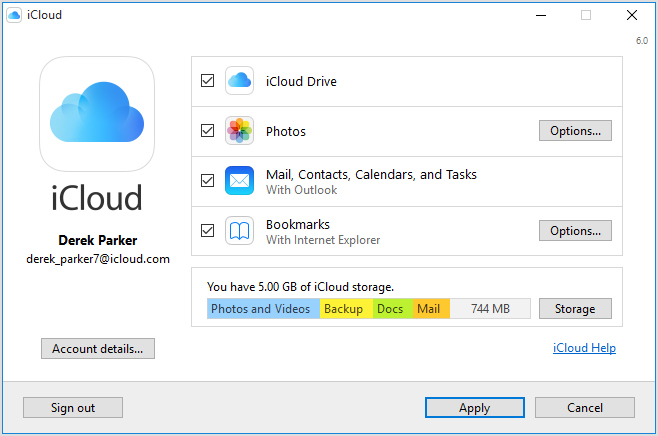 To use this, all you need is official iCloud client for Windows 10. 2. Run iCloud apps and Enter your Apple ID to sign in to iCloud. 3. 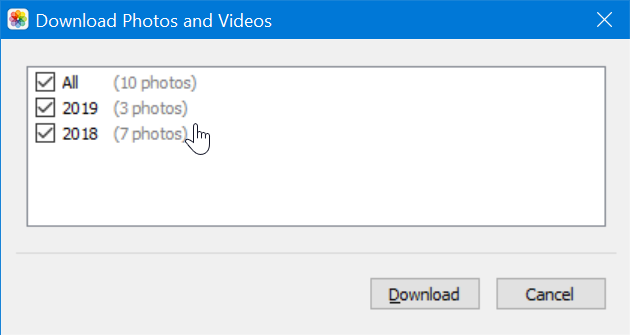 When you get the following dialog, be sure to select at least the Photos option. Click the Apply button. 4. 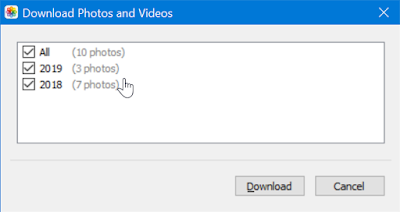 Now open File Explorer. 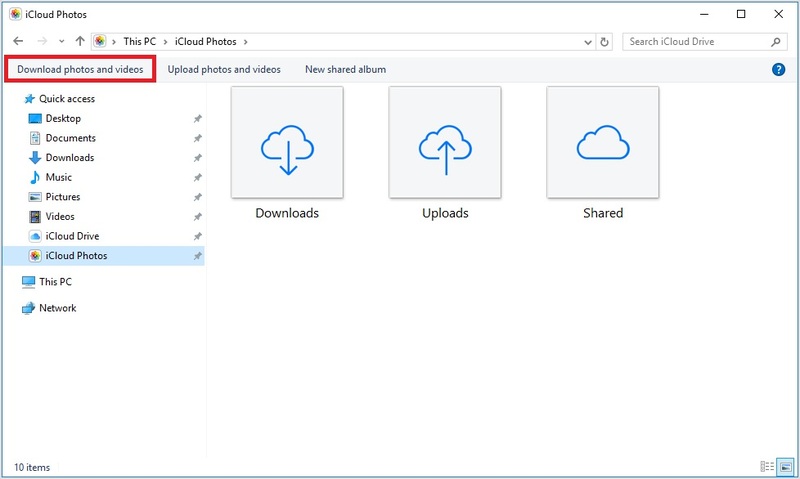 Click the iCloud Photos in the left navigation pane. 5.Click on the Download and videos button in the toolbar to see Download photos and videos dialog. 6. Select All option. Click the Download button to download all photos from iCloud. 7. 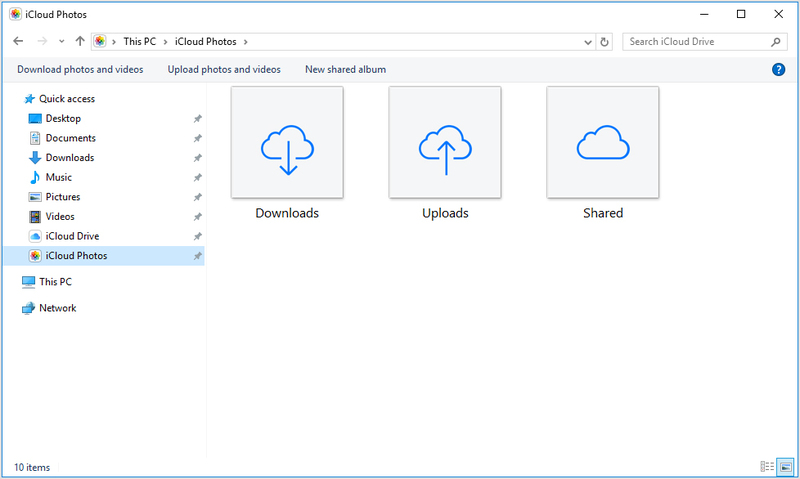 Now navigae to File Explorer > iCloud Photos > Downloads to view all downloaded photos.